LEGO Batman was described at E3 08 as "the biggest and best LEGO game yet", and it was interesting to see that this statement turned out to be true. LEGO Batman is about twice the size of LEGO Indiana Jones (which was already quite big), and it has also been under development longer than the latter. The developers' goal was not to lose anything from the previous LEGO formulas, but to keep adding to what has made them so successful. 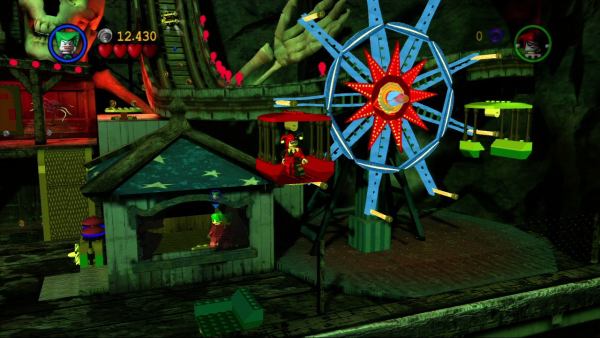 LEGO Batman is a "darker" game than previous LEGO titles, a feature pertaining to the Batman theme. We see this in the environments and atmosphere, such as Gotham City's rooftops, the cathedral, Arkham Asylum and the Bat Cave itself. 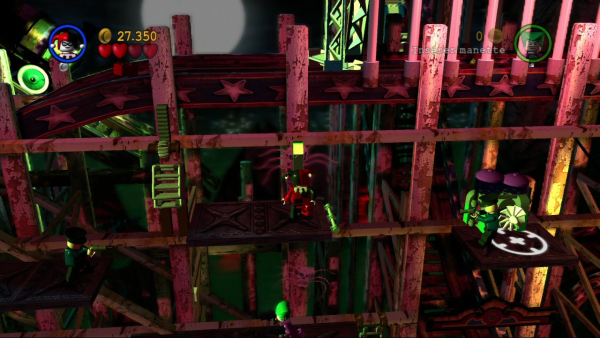 Yet, the game is still colorful, and we see this in the characters and the different construction pieces found throughout the stages. 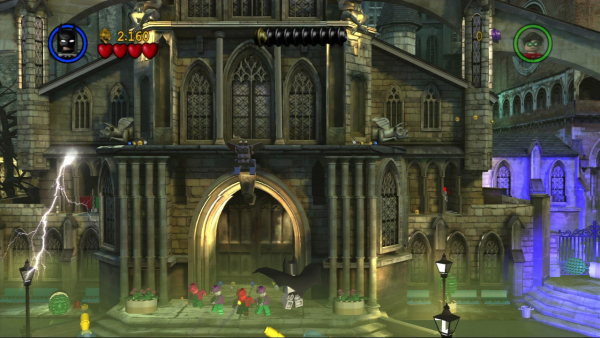 The environments and characters in the game are restricted to the Batman DC world and theme. Don't expect to find stories based on any of the movies nor events from the old TV show, since those in the game are brand new to the Batman world. The only similarities the game has with the movies, TV show and cartoon is the fully orchestrated soundtrack. 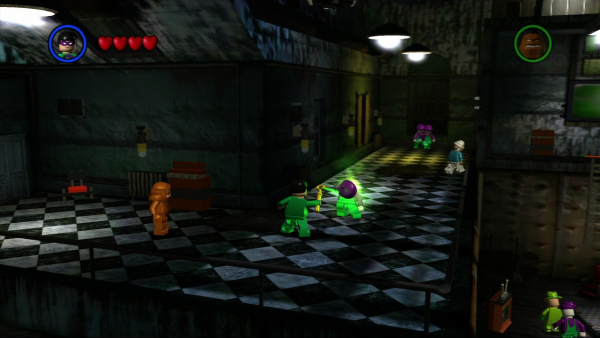 There are two campaign gameplay modes in LEGO Batman, hero and villain, with each lasting between 15 and 20 hours of gameplay. 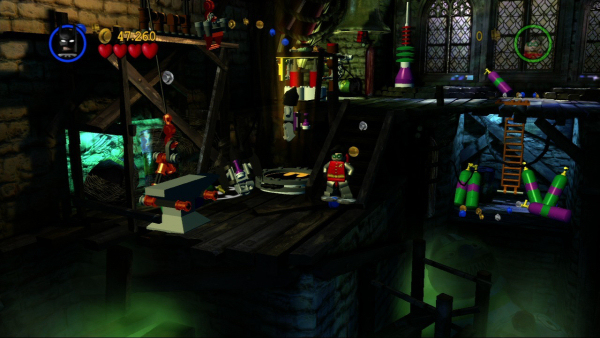 Just like in every other LEGO game, there are plenty of collectibles and tons of unlockables (including little things from the comic books that the most die-hard fans will appreciate, such as Bane's cell number), which in simpler terms means replay value. Although you must play as Batman in the beginning, evil characters that you defeat in the "hero" campaign will become available for the "villain" campaign. 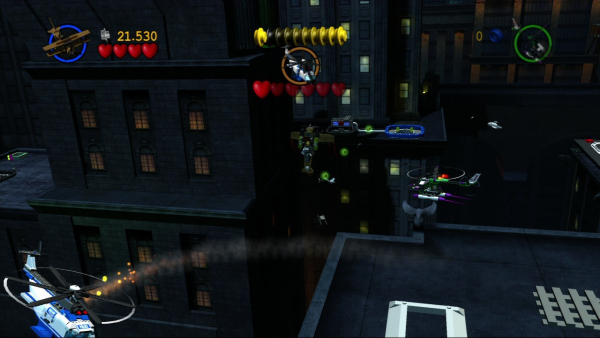 And it's always fun playing as the bad guys, be it Catwoman, Mr. Freeze, The Riddler or The Penguin! It seems that the "villain" stages are a lot more fun and better planned than the "hero" stages. 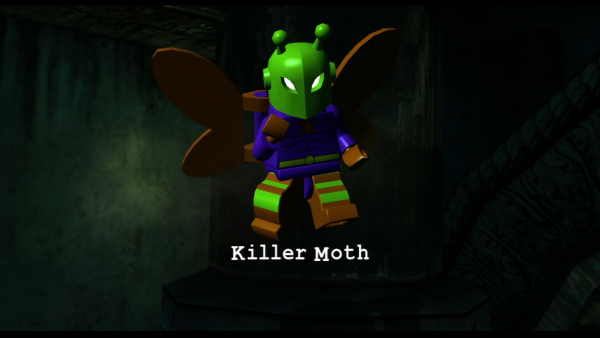 We are used to having different characters, each possessing unique special abilities, and LEGO Batman is no exception. However, characters here also have different suits, which can be accessed via the suit swapper. For example, Batman has a glider suit that lets him hover towards a platform further away and a technology suit that allows him to control a tiny remote-controlled car that can fit in small areas. On the other hand, Robin has a magnetic suit that lets him climb certain walls and a diving suit that lets him swim underwater. Obviously, the suits and their properties are directly connected to environmental puzzle-solving, but they will be placed near the spots where they must be used. You can switch characters at any time to control whichever you prefer (especially in those confusing AI moments), or you can co-op the adventure with a friend. But only locally, since unfortunately, LEGO Batman fails to deliver an online experience. Maybe it's because of the attempt at making it a "darker" game, maybe it's because the game is not actually based on any of the movie situations, but the type of humor present in other LEGO titles seems to have been lost in this installment. 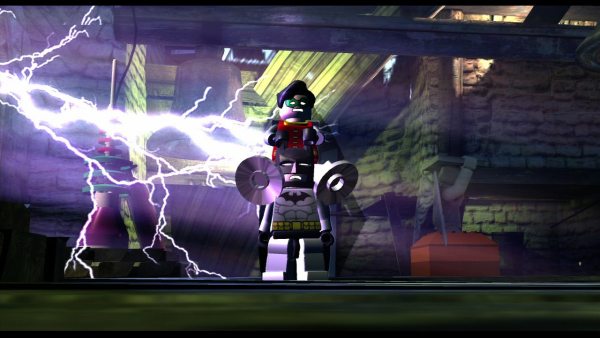 While LEGO Indiana Jones was priceless and had plenty of funny situations, LEGO Batman manages to make you crack a smile here and there, but that's about it, since they don't relate to anything specific. 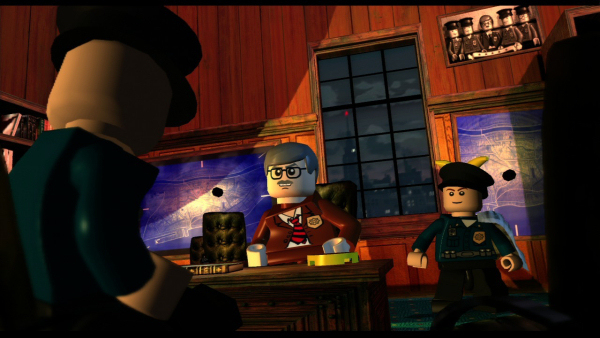 And when all is said and done, it's not that I didn't like LEGO Batman... it's just that I'd much rather play LEGO Star Wars or LEGO Indiana Jones again instead.